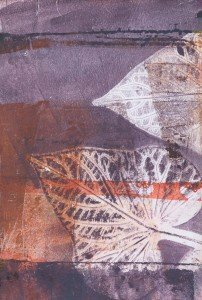 Lottie Anderson is a talented artist, printmaker, photographer, and instructor on Gabriola. Lottie’s been here for a few years and has made a great contribution to our community. She has participated in two Thanksgiving Studio Tours and offered workshops at the last two Isle of the Arts Festivals. Last week Lottie’s studio in Nanaimo was completely destroyed by the devastating fire. The old building housed a group of artist studios as well as the offices of the Nanaimo Arts Council. Everything was lost. Lottie lost many years of work, and a lifetime’s worth of equipment and material, some of it irreplaceable. For a variety of reasons Lottie’s studio was not insured. Starting from scratch is going to be a challenge. The Gabriola Arts Council would like to provide an easy way for Lottie’s friends, neighbours, colleagues, and supporters to help her re-launch her working studio space. We are receiving donations of money via our online donations page. Just follow the link and complete the form, indicating at the bottom that these funds are for Lottie. (Please note: because these are contributions to Lottie and not donations to the Arts Council, we cannot issue charitable tax receipts.) You can also send money via an Interac e-transfer to info@artsgabriola.ca, or drop off cash or a cheque at the Arts & Heritage Centre (if we’re not there, use the secure mail slot on the side of the building). We will also be collecting funds at the Artist Appreciation Party on Friday at the Surf Lodge. Whichever way you contribute, we will ensure that the entire amount gets to Lottie. Here’s Lottie’s page on the GAC directory. You’ll find her email address here as well—feel free to send her a supportive note. Moral support goes a long way at a time like this. Here’s her blog where you can see more samples of her work. Finally, note that there is another fundraising campaign underway, organized by a group in Nanaimo. The funds raised through that campaign will be shared among the artists who were affected by the fire. We have set up this process in response to many who have asked how they can support Lottie directly. Supplies List—previously owned and already-used supplies are welcome. I was so sad to hear of the loss of your studio. I will be looking through my studio to find some materials for you and will be in touch.